There are plenty of festive films to indulge in during the holidays, whether you’re into retro classics like White Christmas or action flicks like Die Hard. But if you’re in the mood to curl up on the couch with a cup of hot cocoa and watch something that will leave you feeling all warm and fuzzy inside, then be sure to check out these 8 feel-good movies to stream over the holidays. With an all-star cast including Hugh Grant, Liam Neeson, Colin Firth, Laura Linney, Emma Thompson, Keira Knightley, Andrew Lincoln, Martine McCutcheon, Bill Nighy, Rowan Atkinson and the late, great, Alan Rickman, 2003’s Love Actually is a modern holiday classic. Featuring 10 separate yet sometimes interlinked stories of love, loss and romance in London during the five weeks leading up to Christmas, this beloved rom-com is a must-watch when the festive season rolls around. In 1994, John Hughes teamed up with Twentieth Century Fox to remake the classic 1947 holiday film Miracle on 34th Street. In the story that challenges the truth behind Santa, Mara Wilson stars as six-year-old Susan Walker, a child who doubts the Christmas myth until she meets Kris Kringle himself (Richard Attenborough) and sees the adults in her life (played by Elizabeth Perkins and Dylan McDermott) determined to prove that Santa is real, even if it means taking the matter to court. When American journalist Amber Moore (Rose McIver) is sent to the country of Aldovia to write a magazine piece about the nation’s naughty prince Richard, she unexpectedly falls for the man who is about to become king. But the road to a royal romance isn’t an easy one in this 2017 Netflix hit. And while we don’t want to spoil the ending of the first film, you should note that a sequel was released in 2018 that features a royal wedding. After two women both experience betrayal and heartbreak, they decide to swap homes, lifestyles and even countries for two weeks during the holidays in order to get away from their dire circumstances. Starring Cameron Diaz and Kate Winslet alongside Jude Law and Jack Black, this 2006 rom-com will have you longing for a change of place. Granted, you could always catch the classic 1966 version on TV and in 2018 a brand new movie hit theaters, but plenty of fans of the beloved seasonal hit prefer the Jim Carrey-led live-action film that was released back in 2000. With intricate sets, Oscar-nominated costumes and makeup that brought the fantastically festive world of Whoville and its residents to life, it’s easy to lose yourself in this tale of holiday redemption. When Everett Stone (Dermot Mulroney) decides to bring his uptight girlfriend Meredith (Sarah Jessica Parker) home for the holidays, things don’t go according to plan. Stone’s bohemian family immediately disapprove of Meredith, and when she brings her sister Sybil (Claire Danes) in for backup, things take a turn no one expected. With a stellar cast including Rachel McAdams, Luke Wilson, Craig T. Nelson and Diane Keaton, The Family Stone is hilarious and surprisingly moving. If you like seasonal stories that offer lots of laughs, ridiculous situations and family fun, then you’ve got to watch this classic at least once when the holidays are in full swing. As the Griswold family tries to enjoy a traditional Christmas celebration, things go awry in pretty much every way possible despite the best efforts of Clark, played by Chevy Chase, who stars in this quirky comedy with Beverly D’Angelo, Juliette Lewis, Johnny Galecki and Randy Quaid as cringe-worthy cousin Eddie. Life can be hopelessly overwhelming at times and that can certainly feel true when the pressures of the holidays weigh on us. 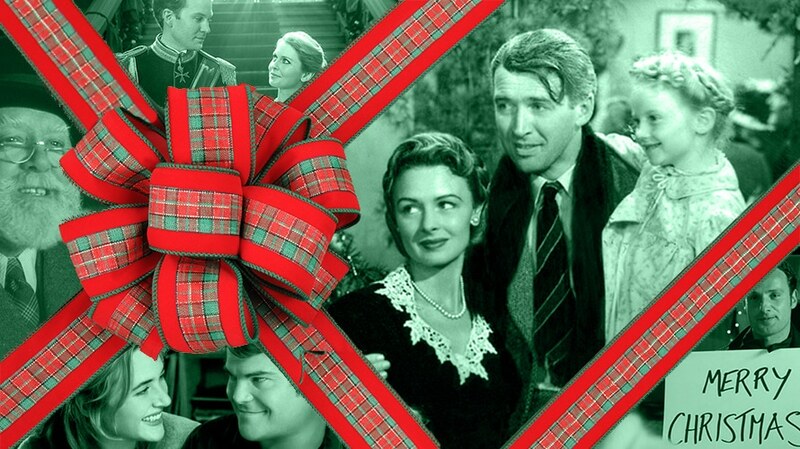 In Frank Capra’s 1946 classic It’s a Wonderful Life, George Bailey (played by the iconic ‎James Stewart) wonders if those he loves would have been better off if he’d never been born at all. When an angel named Clarence (Henry Travers) is sent to Earth to show George what that reality might be like, George realizes that he truly had a wonderful life after all.